Baltimore is the perfect sized city for a weekend visit. After living here for two years, I’ve definitely compiled my list of favorites. Whether you’re coming in on business or for pleasure, this weekend guide to Baltimore includes my top picks of where to stay, what to eat and drink, and what to do while visiting the Charm City. I recommend staying at the Admiral Fell Inn in Fells Point. It’s historical, charming, and extremely well located right on the square in Fells across from the water. My parents stayed here during a weekend visit and really enjoyed the friendly staff, ample breakfasts, and spaciousness of their room. If you choose to go the Airbnb route, I recommend becoming familiar with this crime heat map to stay out of the “bad pockets” of the city. Safer/gentrified neighborhoods include Fells Point, Inner Harbor, Harbor East, Canton, Federal Hill, Mount Vernon, Charles Village, and Hampden. 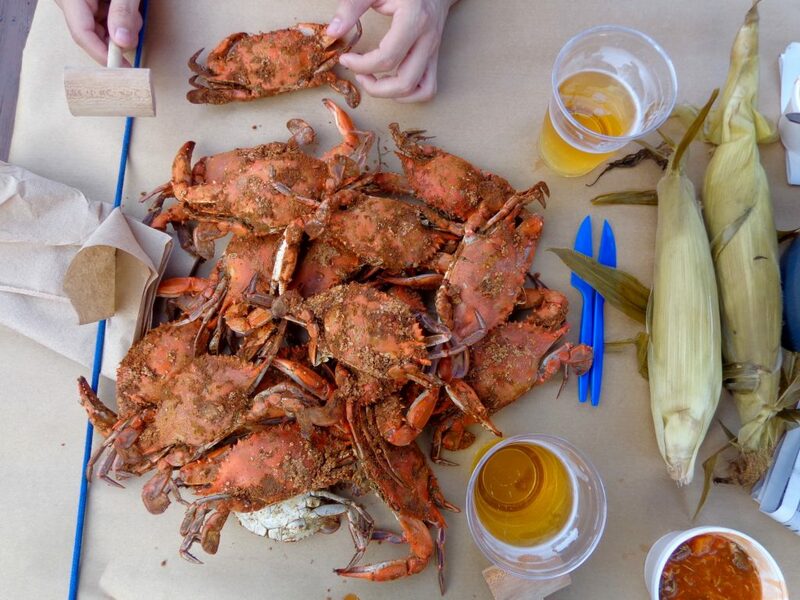 If you only have the weekend, best to indulge in what Baltimore is known for: seafood! Thames Street Oyster House is by far the best restaurant I’ve been to in the city. 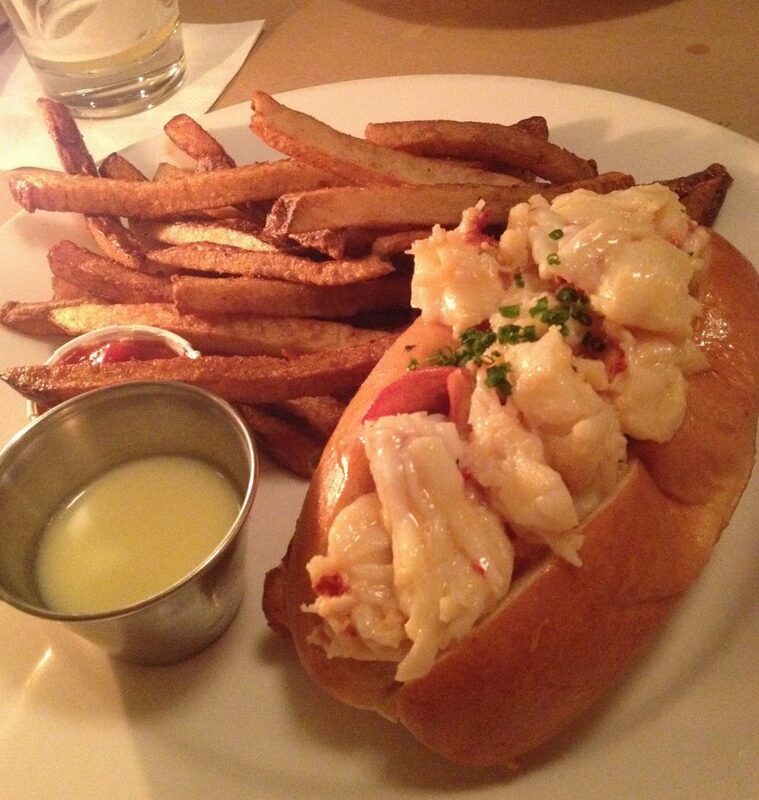 You can sample different types of oysters from their raw bar, try an oyster shooter made with Baltimore’s own Natty Boh beer and rimmed with Old Bay, and indulge in their perfectly buttery lobster roll. It’s not a cheap place and not easy to get into (make reservations a month in advance if you can) but man oh man it’s quite the experience. 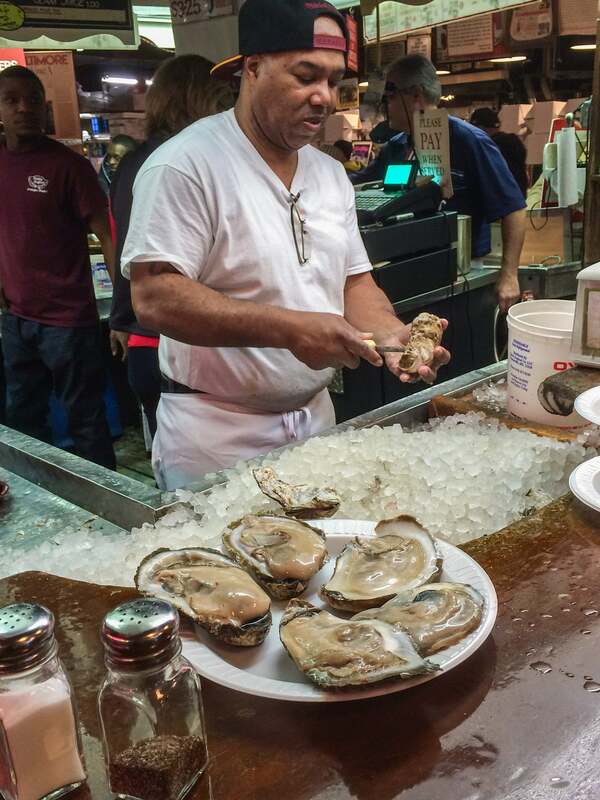 Head to the historic Lexington Market in the city for a real taste of Baltimore. This indoor market has been around since the 1700’s and houses tons of food vendors from fried chicken to gyros to Berger’s Bakery, home of the famous Baltimore cookie of the same name. For the best seafood, go to the back of the market to Faidley’s. You’ll find a raw bar in the middle where you can slurp oysters, clams, and a beer. There’s seafood on ice to the right to purchase and cook at home. In the very back you can get “the best crabcake in Baltimore” for $14. Or try a steamed plate at the service point on the right with crab legs, shrimps, corn, and other goodies. If you’re lucky enough to be in Baltimore for crab season, check out Captain James Crabhouse (not the one in the “ship” but across the street right on the water) in between Fells and Canton for some steamed crabs smothered in Old Bay and spices. Go for the All You Can Eat crabs from 4pm-9pm Mondays-Thursdays. The price seems to change but hovers around $30 per person. Happy smashing! If you’re really not into seafood, you could check out Samos, the best Greek restaurant around located in Greektown. You might have to wait in line but it’s worth it. Tortilleria Sinaloa is a hole-in-the-wall spot for a quick authentic Mexican lunch in Fells Point. They make their tortillas and tortilla chips (get ’em with guac!) fresh in the back. For farm-to-table fare, check out Woodberry Kitchen in Woodberry up near Hampden. This place is pretty pricey and you tend to need a reservation in advance but they are known for their fresh and locally-sourced ingredients and seasonal menu. 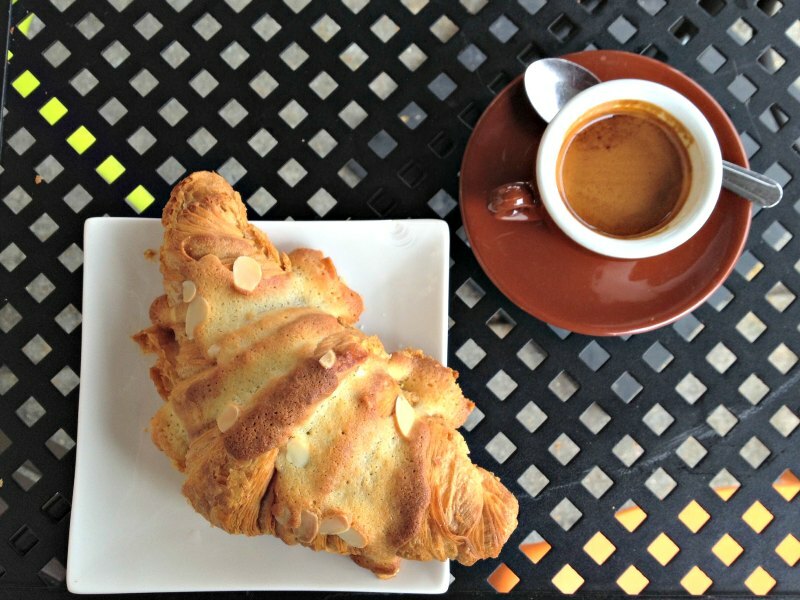 One of the best spots for lunch is Pitango Bakery & Cafe. They have freshly-baked breads, sliced prosciuttos, cheeses, and veg which you can arrange into a sandwich or salad. Or come for a coffee break and bring a book and chill by the water in their airy, light space. Baltimore used to have a huge Polish population. There are still vestiges of its Polish heritage, like Sophia’s Place in the Broadway Market in Fells Point. You can get delicious traditional Eastern European fare for extremely reasonable prices. I’ve tried and loved the Polish sausage with sauerkraut, the potato and cheese pierogis, and the hamentaschen cookies for dessert. 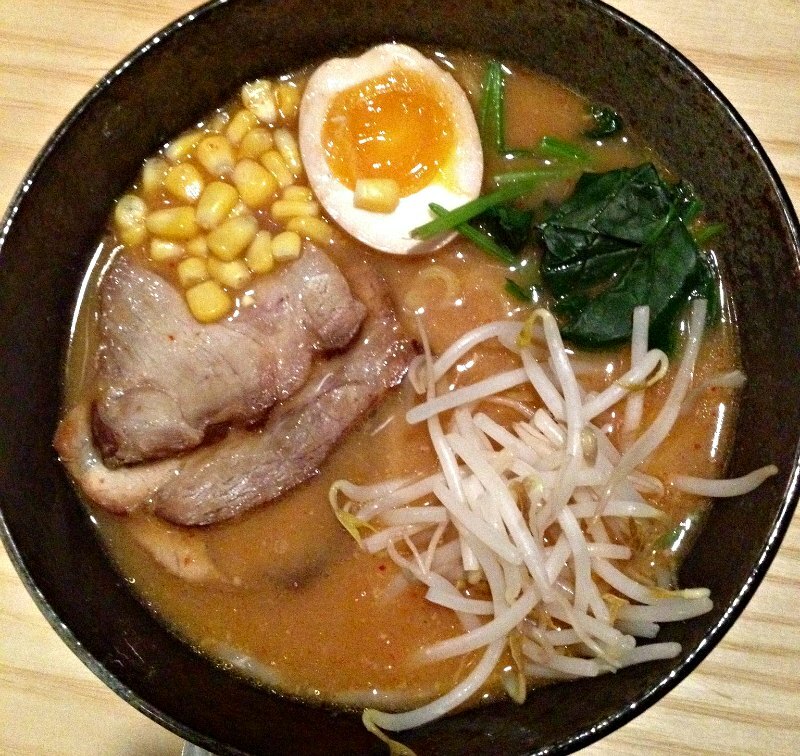 I LOVE the spicy tonkatsu ramen at Kippo Ramen in Fells Point. Great for a chilly day. For dessert, try Pitango’s Gelato at the shop in the square in Fells. My favorite scoop combo is black tea and cardamom flavors. Mmm. You can also try The Charmery in Hampden for unique specialty ice cream flavors (like Old Bay caramel!) that change by the day. I’ve also heard great things about the cannolis at Vaccaro’s in Little Italy but haven’t tried them yet. Another very “Baltimore” summer treat is the snowball, or shaved ice in general. Allow Rita’s in Fells Point to introduce you to the gelati if you’ve never had one: it’s flavored Italian shaved ice topped with frozen custard. Peach ice with vanilla custard is my favorite flavor combo, and so refreshing. Baltimore is big on brunch but (at least from my experience), not big on good brunch. Water for Chocolate, Blue Moon Cafe, and City Cafe are crowd pleasers that I never understood. Maybe I’m just a simple gal, but a bagel and lox sandwich at Waterfront Hotel whilst sitting outside by the water is more my speed. I also am honestly really into the greasy diner vibes at Jimmy’s in Fells Point. Other brunch shoutouts (haven’t been but they get a lot of attention): Teavolve, Iron Rooster, & Miss Shirley’s. 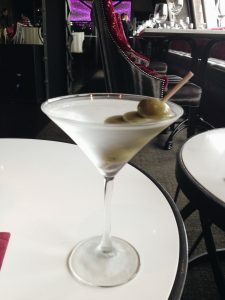 You can check out my Yelp Baltimore Favs list for updates on my favorite restaurants in the city. If, unlike me, you are a beer connoisseur, Max’s Taphouse is your place. They have literally zillions of beers from all around the world. For a taste of the local bar scene, check out 1919 or Wharf Rat. 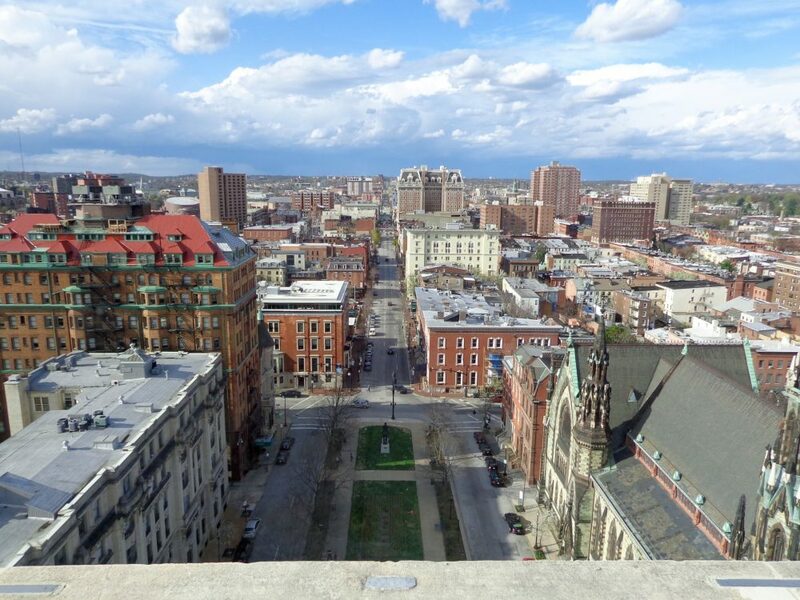 The 13th Floor at the Belvedere Hotel used to be *the* spot to be seen in Baltimore. These days, it’s still pretty classy (and expensive), with a live pianist and a spectacular view over Baltimore. Happy hour is on Thursdays and Fridays 5-7pm. Brewer’s Art in Mount Vernon is known to have a unique vibe and I believe they even brew their own beer. For more info on Baltimore’s drinking culture, check out this article from Baltimore Magazine, which includes details on Baltimore’s home brews. If it’s a nice day, buy tickets and ride around on the water taxi. If you get the all-day ticket, you’ll also get a nice coupon book to use at the restaurants and shops around town. 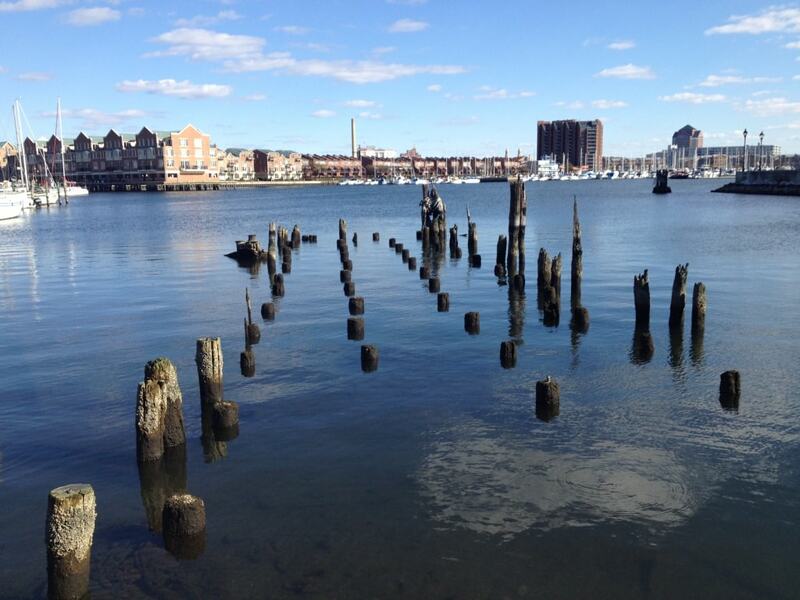 To explore Baltimore’s harbor for free, take a nice long walk along the Waterfront Promenade. They say it’s about 7 miles if you walk the whole thing from Fort McHenry into Canton but you can just do a slice of it and get a good feel for the city. Well, at least for the gentrified parts. Should you be more interested in seeing/understanding Baltimore’s troubled past, I highly recommend getting in touch with Glenn Ross, a community activist who has lived in Baltimore for over 60 years. He gives “toxic tours” (or used to give – get in contact with him to see if the tours are still running) around Baltimore, exposing and discussing “environmental racism”: the lack of urban environmentalism in Baltimore and how African Americans and low-income populations are disproportionately affected. I’ve been on one of his tours and it’s both heartbreaking and eye-opening to the realities underlying Baltimore’s dark side. For those interested in museums, the Walters Art Museum is progressive, interesting, and free. 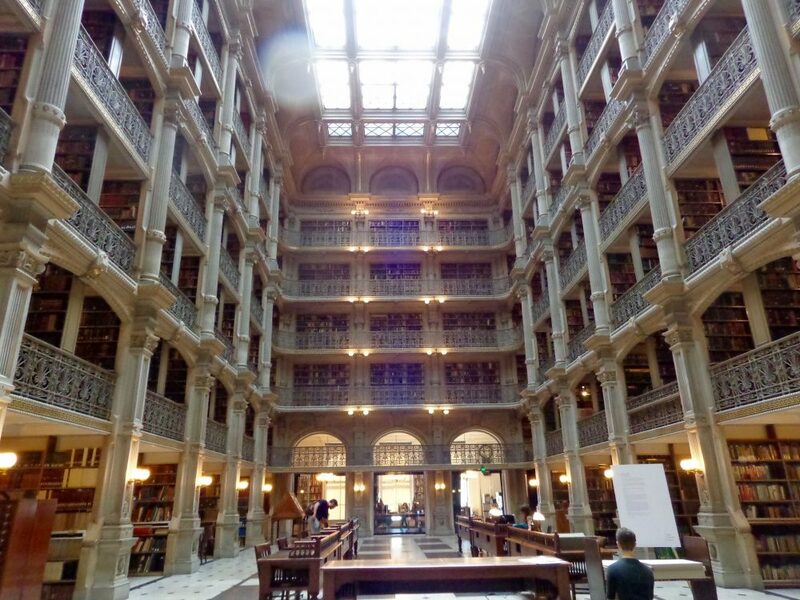 The George Peabody Library is a must-see. It’s a historic building now mostly used for weddings and events, but you can still drop in during the day on week days to see the sky-high book shelves and snap a cool pic or two. Climb the Washington Monument while you’re in the area for views across the city. Looking to spend more time outdoors? Patterson Park is Baltimore’s version of NYC’s Central Park. It’s big, green, hilly, and easy to get lost in. Stop by the architecturally interesting Pagoda on the northwest corner. You can climb it for free on Sundays from the spring into fall although honestly it’s most impressive from the outside. Last but not least, Baltimore’s National Aquarium is famous for some reason. I’m from Georgia and pretty much nothing can compare to the Georgia Aquarium so I’m probably being an aquarium snob, but I don’t think it’s worth the full price of admission. Go for half-priced admission on Friday evenings instead. Oh and don’t forget to look for the the sloths in the rainforest room! Best part of the aquarium by far. Baltimore does have some public transportation options, but the quickest, most convenient, and sometimes cheapest way around is just to call an Uber. I don’t recommend wandering around the city too much alone, at night, or both by foot unless you stick to the areas right by the water. For more Baltimore weekend trip ideas, check out Baltimore Fun Hacks. Thanks for mentioning the Baltimore Water Taxi! Hi Stacy! Of course – it was a lot of fun to ride on a day with nice weather. And we loved the coupon book! 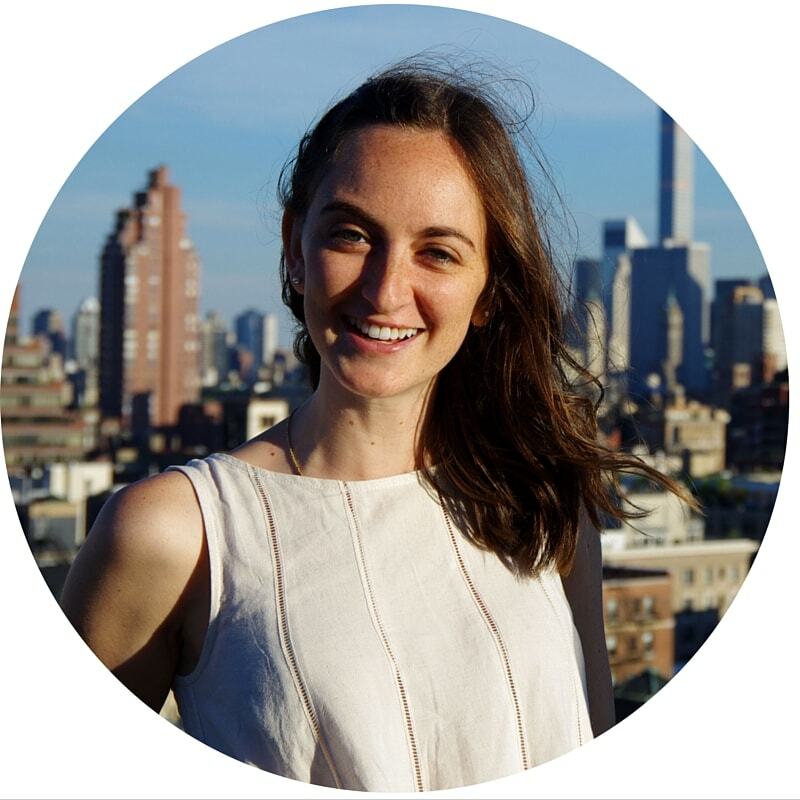 Hello from the Grow Your Blog FB group! 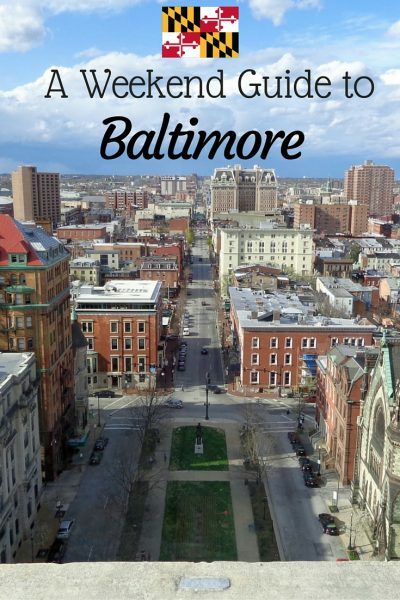 Being from Northern Virginia and having Baltimore in my back pocket, this is such a wonderful list and really gives visitors a great glimpse into the city. However, like any city it’s pretty dirty and sketchy in some areas so sticking to the waterfront is a good idea 😉 I would also recommend catching a game at Orioles Stadium! Thanks for sharing! Hi Kelly, thanks for stopping by! I would definitely agree that Baltimore has lots of sketchy/unsafe areas – probably even more than in other cities. I’ve actually never been to an O’s game but that’s an excellent recommendation. Thanks for this great information! Baltimore is on our list of places to visit, and these are all great tips! I’m currently in Baltimore visiting family and this post has inspired me to get out an explore! 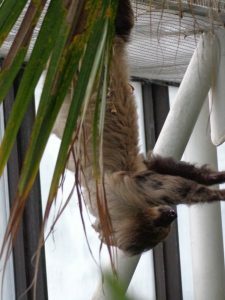 I’ve never been to the National Aquarium or the Library – Thanks for all the fabulous recommendations! Thanks for all the good information! I have only been to Baltimore a couple of times and would love to go back! Great list! Paper Moon is a fantastic little diner with all kinds of crazy doodads and knick knacks! Great for brunch or late night, definitely one of my favorite places when I lived there. Baltimore,I was born and raised there,went to church every sunday,now some parts are nice however it is still a very DANGEROUS place,We return 2 or 3 times a year and it is still DANGEROUS…Woodbery (Hamden) yea its hip now but it has a very bad history …ask the mailman who was beat up by white thugs,they also burnt a home to the ground because a Black family bought it…schools are horrid,East Balto is horrid,West Balto is horrid,We lived in Govans now its also horrid…The downtown area is nice as long as the sun is shinning because at night the bullets start flying ,Drugs ,Thugs and Trash.. the entire place needs bulldozing and rebuild all over. Yes completely. I lived in Fells and went to school in East Baltimore, then worked doing house calls all around the city so I’ve definitely seen some dark sides. I think there are charming parts (namely Fells and all along the waterfront) but I agree Baltimore has a major crime problem and can be a very scary place to live.